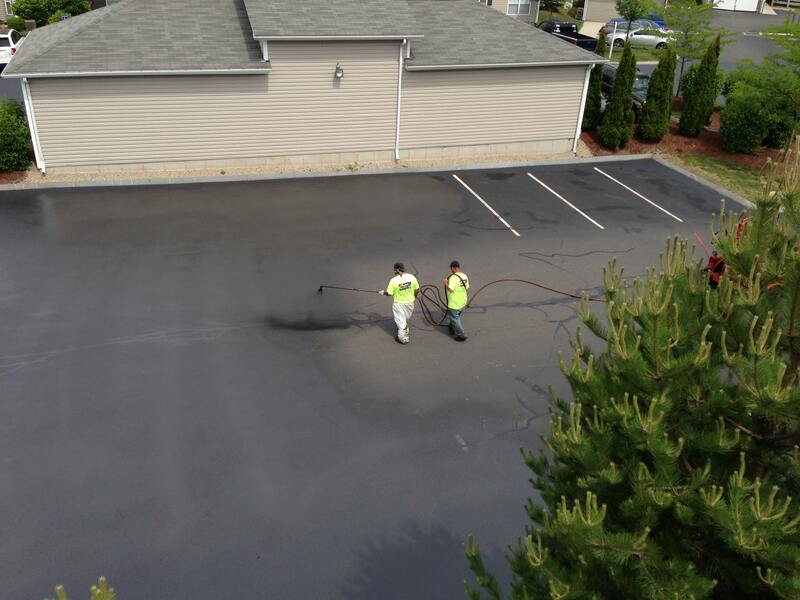 Aside from making your parking lot look great, sealcoating is the most important maintenance element of your parking lot. Sealcoat is applied over the asphalt to help protect against the daily destructive elements. Sealcoating is a great way to help you save money on repair costs by protecting your investment from sunlight, snow, ice and salt. It will also protect your asphalt from hazardous chemicals such as gas and oil. Aside from the beautiful black finish it adds to your asphalt, sealcoating makes sweeping and cleaning much easier. Many people don’t realize that sealcoating costs are next-to-nothing compared to paving. Making the investment in sealcoating can extend the life of your asphalt considerably, keeping more money in your pocket in the long run. Line striping is also a very important element to your parking lot. Good line striping creates direction and and provides a strong safety factor to your parking lot. Without striping cars would be driving wherever they want, in any direction they want. This can also happen with a poor layout or just bad quality striping that fades out too quickly. Line striping should always be safety first, then functionality. 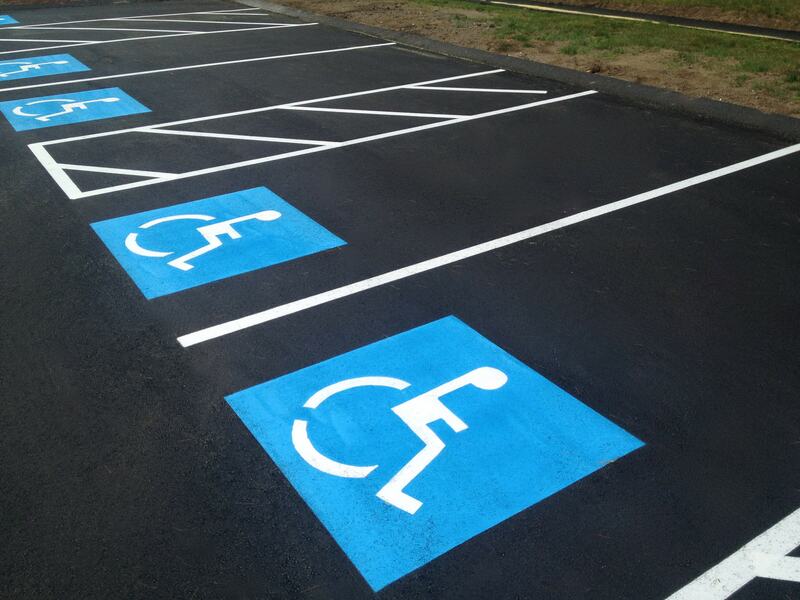 Make sure handicap spaces are marked clearly and follow ADA specifications, make sure fire lanes are present and clear, make sure you have stop bars at all stop signs, and then when all the safety elements are taken care of, make sure you outline to get as many parking spaces as possible. Not sure if your parking lot adheres to all ADA specs or if it is designed right in the first place? Call Asphalt Services, Inc. and we will provide a free estimate and outline of what we think would work best in your parking lot. 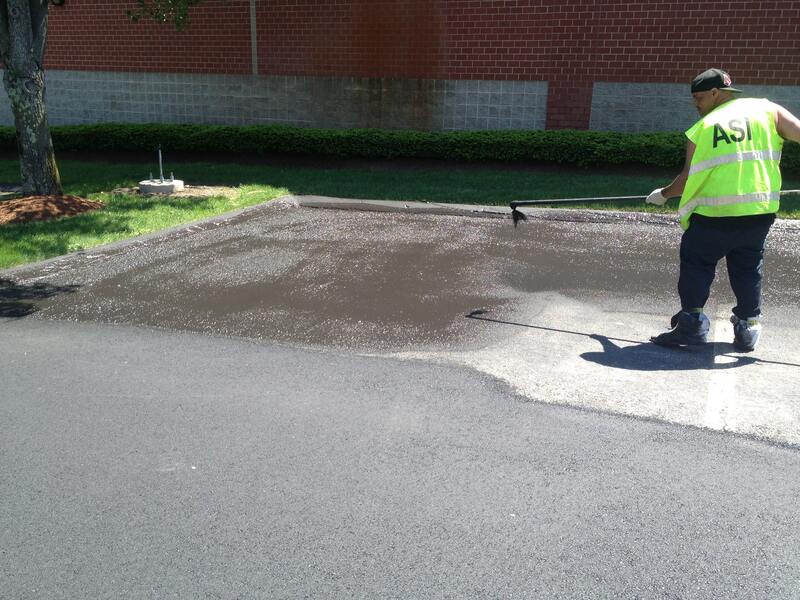 Asphalt Services, Inc. has been specializing in sealcoating and striping of parking lots for the last 20+ years. We provide the best quality product and service for the best prices around. If you would like a free estimate for any of your sealcoat or line striping needs click here.